Lawrence Expressway continues northeasterly and junctions with I-280 and Stevens Creek Boulevard over a complex shared separated grade crossing. Lawrence proceeds under I-280 before immediately rising over Stevens Creek. Lawrence Expressway and Stevens Creek also share ramps for access to I-280 with the exception of the onramp to Southbound I-280 which is accessed directly from Lawrence Expressway, a frequent cause of confusion for drivers on Stevens Creek wishing to access I-280 due to unclear signage. Lawrence Expressway continues north into Santa Clara and widens to 8 lanes with an HOV lane occupying the far right lane. 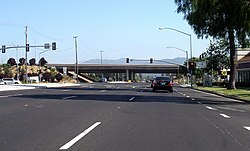 Lawrence Expressway also has another separated grade interchange with El Camino Real (SR 82) with Lawrence Expressway passing over El Camino Real just prior to Lawrence Expressway entering Sunnyvale. Lawrence Expressway also passes under Central Expressway (G6) on a separated grade interchange and over US 101 on a separated grade interchange. The US 101 interchange was upgraded in the early 2000s to include traffic light control on G2. The designation G2 existed to the 1950s. 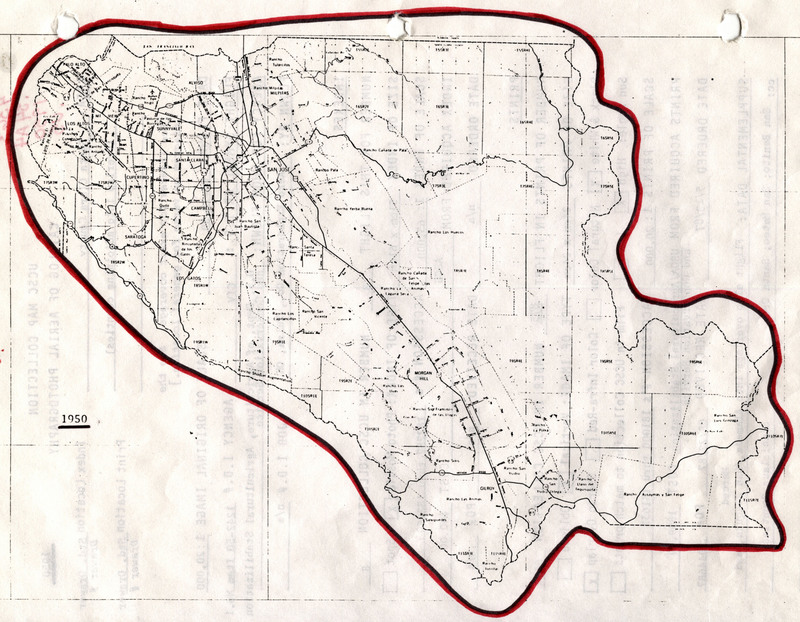 The route replaced what was originally called Lawrence Station Road (after the Southern Pacific Lawrence station), from Mountain View-Alviso Road in the north to Stevens Creek Blvd. on the south, roughly paralleling Saratoga Creek. Crossing Stevens Creek, the route was originally called Doyle Road, a small two lane road up to the point the current Doyle Road exits to the east. The section between Doyle and Saratoga Avenue at Quito Road was originally orchards.